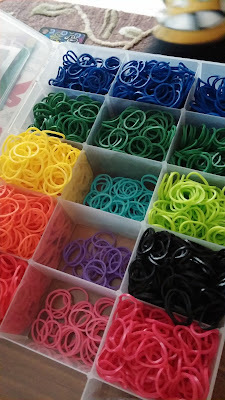 If you've got a young child, girl or boy, I imagine these may have taken over your home as well? There's so much randomness that people create with these little rubber bands. 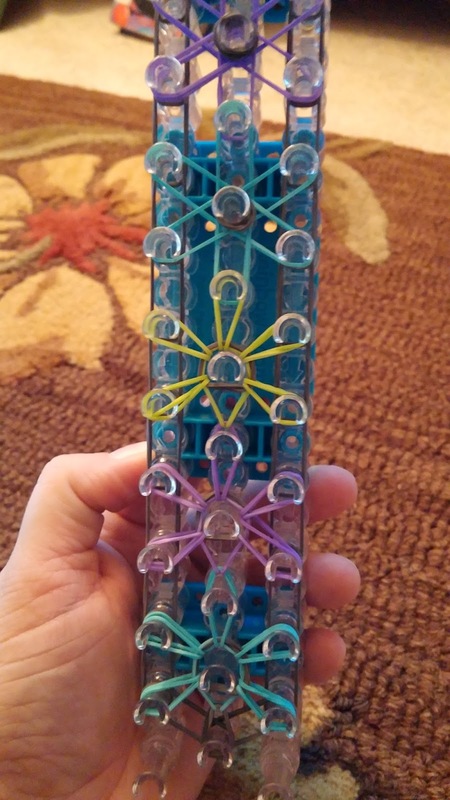 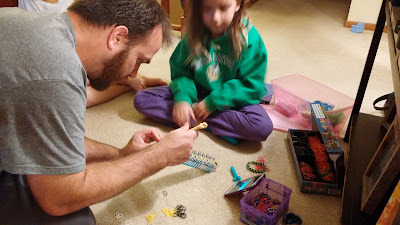 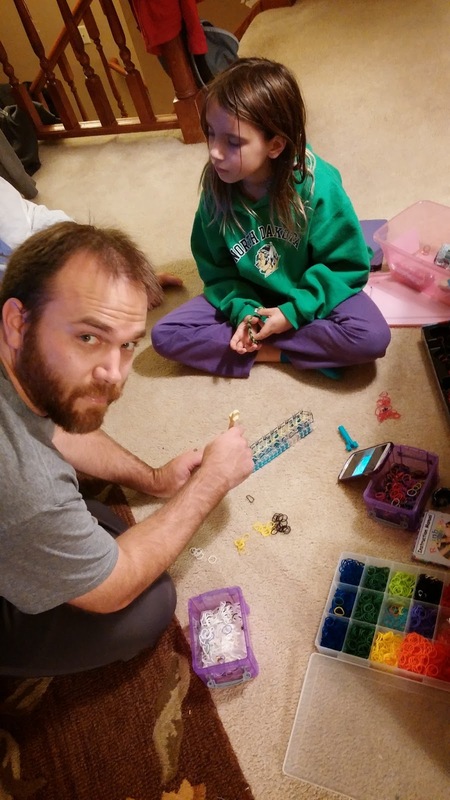 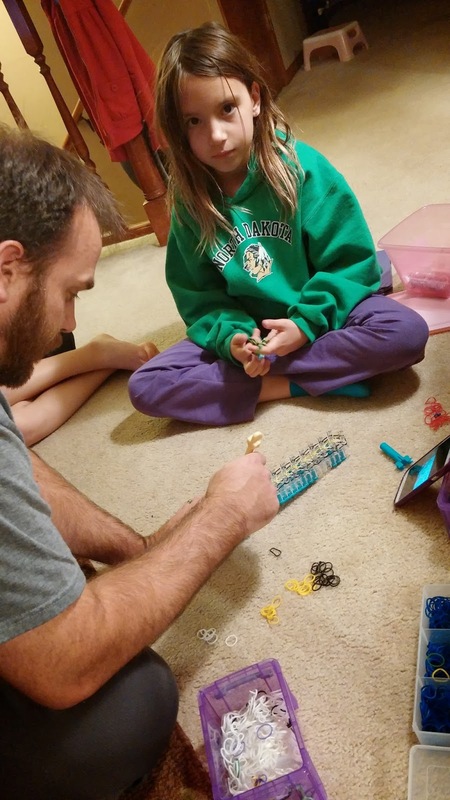 My favorite part of the Rainbow Loom? Reason #4039 why I love this man so very, very much. 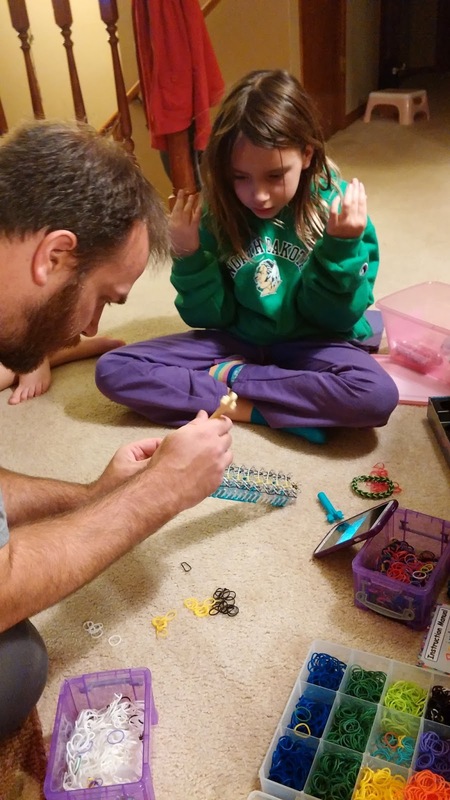 trying his darndest to create her latest obsession. Now that...that is what I love about this kind of passing fad. time spent together as a family.